Jacopo Ferrazza was born in 1989 in Frascati, a city near Rome. Jacopo is an acoustic and electric bass player and pianist as well. He's graduated in classical bass and classical piano from the italian conservatory of Frosinone "Licinio Refice”. He also studied bass with John Patitucci, Ares Tavolazzi, Marco Panascia, Aldo Perris, Luca Cola and with his father Angelo. In the meantime he studied also classical piano with Annalaura Cavuoto, Pablo Tellez and Carlo Negroni. 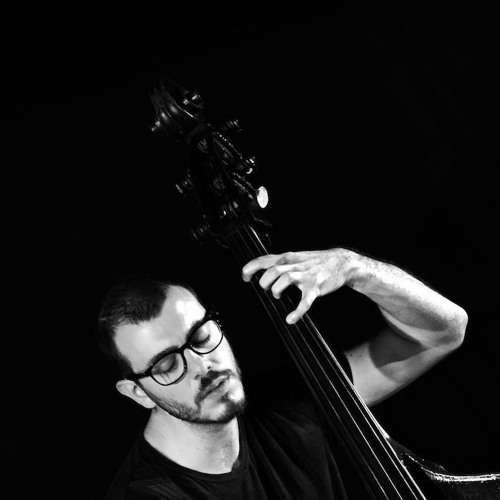 Jacopo started to play jazz in Rome in 2003 and during these years he has performed as sideman with some of most acclaimed musicians such as: David Liebman, George Garzone, Nicola Piovani, Maurizio Giammarco, Fabrizio Bosso, Enrico Rava, Enrico Pieranunzi, Greg Hutchinson, Logan Richardson, Roberto Gatto, Antonello Salis, Ada Montellanico, Paolo Silvestri, Lorenzo Tucci, Flavio Boltro, Jorge Vistel, Amana Melomè, Fabio Zeppetella, Roberta Gambarini, Salvatore Bonafede, Marcello Rosa, Andrea Pozza, Pino e Pietro Iodice, Max Ionata, Barbara Casini, Harold Bradley, Claudio e Mario Corvini, Massimo Nunzi and many others. He also played with pop musicians such as Erminio Sinni, Vittorio Nocenzi, Eric Daniel, Giuseppe Cionfoli and with actors such as Sergio Rubini, Nino Castelnuovo, Leo Gullotta, Licia Maglietta, Riccardo Rossi. In 2006 he was selected as one of the best young musician in Lazio and he won a scholarship for the project called "Musicorienta". In 2007 he was selected as one of the best european young bass player during the "Eurobassday contest". In 2011 he won the Jimmy Woode Award as the best bass player of Tuscia in Jazz festival. Jacopo has performed in some of most important italian festival and in clubs and festival of New York, Germany, Finland, Marocco, South Corea, Turkey, Japan, Czech republic, Poland, Switzerland… Last april Jacopo has recorded his first album as a leader for CAM jazz label. He has also collected various experiences as composer and teacher.